The image of God was truly preserved in you, O Father, / for you took up the Cross and followed Christ. / By so doing you taught us to disregard the flesh for it passes away / but to care instead for the soul, since it is immortal. / Therefore your spirit, venerable Patapius, rejoices with the angels. Your temple is found to be a source of healing, / and the people flock to it eagerly, O saint. 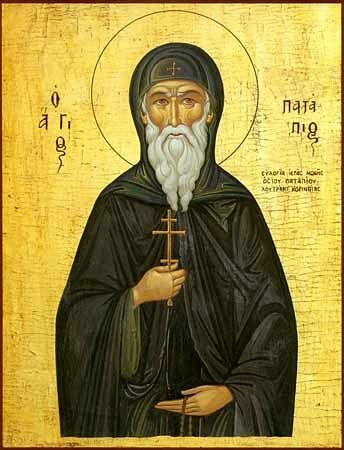 / They seek the healing of their diseases / and the forgiveness of their sins, / for you are a protector for all those in need, venerable Patapius.